Xiaomi has announced a new Anti-Rollback feature as part of MIUI 10 update for Redmi Note 5 and Redmi Note 5 Pro users. As a part of a new policy, the MIUI 10 Global Beta 8.7.6 testers using these handsets will not be able to downgrade their ROM to a previous Stable or Beta version. The company says the latest move is a part of its efforts to maintain system stability and ensure the security of the handsets. Also worth noting, is that downgrading will brick your smartphone. Xiaomi has pointed out that the new policy will affect Redmi Note 5 and Redmi Note 5 Pro users. Xiaomi has released a statement via its MIUI forum, confirming that the anti-rollback protection is meant for “system stability” and “security of device”. 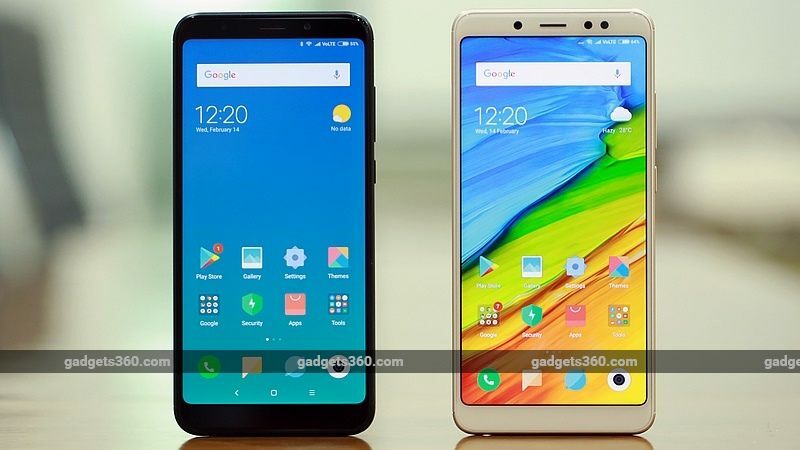 The company is warning Redmi Note 5 and Redmi Note 5 Pro users from downgrading if they have already updated the handsets to MIUI Global Beta 8.7.6. Also, if your handset is already bricked, Xiaomi suggests that you visit the nearest Mi service centre for help. The post by Xiaomi reads as – “To maintain system stability and ensure the security of the device, we have introduced a mechanism of anti-rollback. After you have updated to MIUI 10 Public ROM 8.7.6 or ROM afterwards, you can not downgrade your ROM to previous Stable ROM and Beta ROM.” Xiaomi further added that users who have updated devices to MIUI 10 Global Beta ROM 8.7.6 or ROM afterwards, should not try to downgrade the ROM. “Otherwise, your device will be bricked, which may also affect your device stability. If your device has been bricked, please go to the nearest Mi service centre for help,” says the company. To avoid the issues, Redmi Note 5 and Redmi Note 5 Pro users should unlock their smartphone’s bootloader and flash another ROM onto the handset before upgrading to the new Global Beta, says Xiaomi. To recall, Xiaomi had started to roll out the latest version of MIUI 10 Global Beta ROM to eligible devices last month, following a global launch. Xiaomi had claimed its latest Android-based operating system has a lot of artificial intelligence-powered features at its heart and it also brings with it a UI redesign. Since the downgrading option is not available anymore, Xiaomi users should be aware before updating to MIUI 10 Global beta 8.7.6. The beta update could be plagued by bugs. Interestingly, even Google’s Android Oreo has a rollback protection feature that prevents the users from downgrading their smartphone to an older OS.